An organizing committee must be made up a minimum of three (3) people; President, VP, and Secretary. The Proposed President must be a member of the Sisterhood at a minimum of SLB Level. Step 2: Meeting of Organizing Committee. Any woman of Faith with verifiable following of 1,000 and greater. Packets should include a cover letter to request a charter, required letters of recommendation, and the entirety of membership fees collected from the initial members solicited. The MMM headquarters will be in contact approximately within two weeks of receiving charter application packet to get the anticipated date of when the Founding Members will review your application for approval. Once approved, the Organizing Committee will receive Notification from Ms. Millionaire Mindset Corporate office granting your unit Executive Authority to engage in the work of the Ms. Millionaire Mindset Sisterhood. Membership cards will be sent to the members included in the charter application packet; these people will become your charter members. You will also receive a handbook for planning and hosting your first, official organizational meeting. 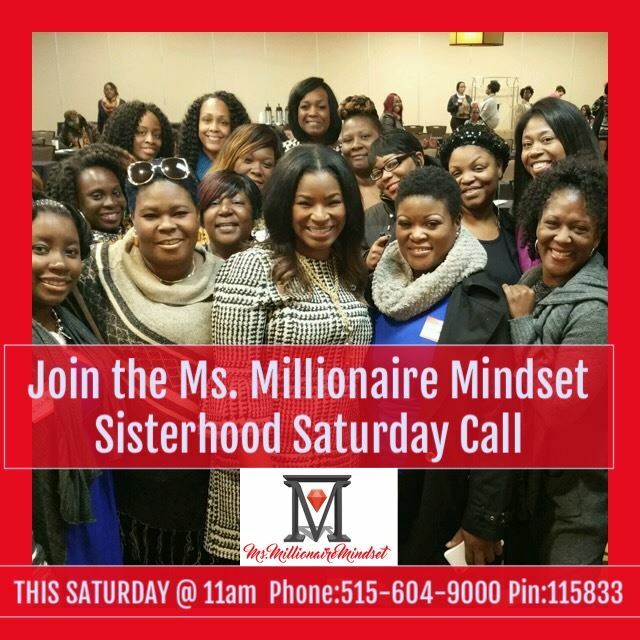 Ms Millionaire Mindset Sisterhood Corporate Office and charter members must receive notification of the date, time and location of your initial Organizing Meeting. As your chapter must be in constant pursuit of members; therefore, your local Women in the community should also receive notification through various public outlets such as newspaper placement, schools, churches, etc. Your initial Organizing Meeting should provide new members with an understanding of the structure of the Association. At this meeting the newly formed unit will elect officers and begin the discussion of unit activities.